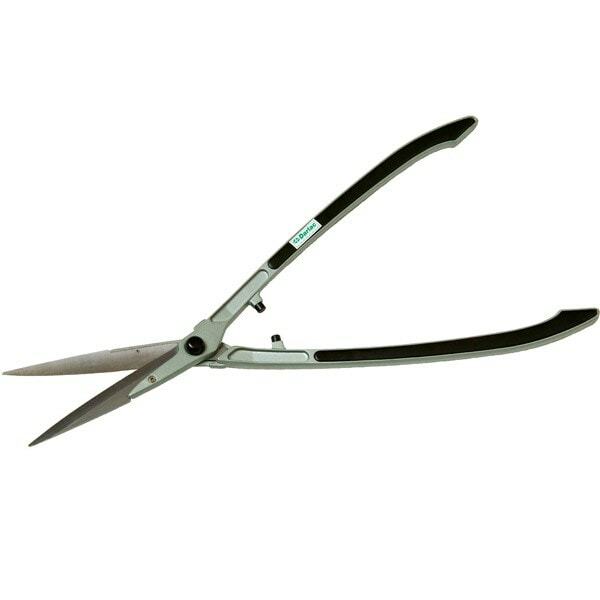 Suitable for grass, hedge trimming and topiary, these lightweight shears will help you trim in comfort. They weigh less than a kilo and are fitted with shock absorbing buffers, making them super manoeuvrable and minimising arm fatigue when cutting over long periods. Extended handles give them a generous reach, and the razor sharp carbon steel blades can be replaced to keep your shears as sharp as the day you bought them. Available in a choice of two sizes, sold separately.